Bike from the Bronx to Manhattan! The Old Croton Aqueduct Trail reflects the changes that the aqueduct has gone through since it was first erected. Perfect for a bike ride through Old New York, the trail's starting point is in Van Cortlandt Park in the Bronx and runs all the way through Midtown Manhattan. Through Van Cortlandt is the starting point, you can start anywhere in between (directions are posted on the website). Built between 1839 and 1842, the aqueduct was NYC's major source of clean drinking water for years and years. It was built using the same principles as the ancient Roman aqueducts. Other points in the trail include the Jerome Park Reservoir, Aqueduct Walk, High Bridge, Amsterdam Avenue, and Central Park. One of the Best Bike Shops in New York! An award-winning establishment, Bicycle Habitat has been cited in such periodicals as New York Magazine and the Daily News as the best bike store in NY! The shop not only sells bikes, but also promotes bike advocacy and supports all its most loyal customers. Plus, you can feel free to test ride any of the bikes in stock! If you need to fix a flat tire or require a comprehensive bike tune-up, Bicycle Habitat includes a full-service repair shop. All estimates are free. The large staff of experienced mechanics will be able to service all types of bikes. 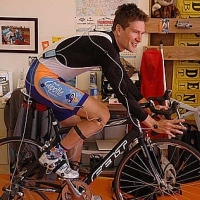 You can also receive such high-performance cycling services as tubeless tire service, wheel building, aero bar installation, computer installation, and component upgrades. One of the Great Bike Stores in NY! Established over 40 years ago, Sid's Bikes is the largest bike shop in New York City--with a wonderful selection of road, mountain, and urban/commuting bikes. Plus, you'll find all the accessories you need, as well as expert repair service from certified mechanics and fit specialists. The store's mission is to encourage of love of cycling while keeping you safe on the road. If you'd like to explore the beautiful sights of New York just for one day, hybrid and road bike rentals are available. You can rent a bike by the hour or by the day. If you'd like to rent a bike for an extended period of time, discounted rates will be applied. Bike along the Old Erie Canal! A 36-mile stretch of the 363-mile Old Erie Canal, Old Erie Canal State Historic Park presents plenty of opportunities for hiking, picnicking, horseback riding, canoeing, fishing, snowmobiling, and bicycling. Your visit to the park is bound to be fun and enjoyable, with a countless number of fun and enjoyable outdoor activities available. 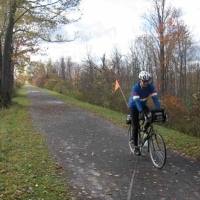 The trail is great for riders of all abilities, and runs from Dewitt to Rome, NY. Directions are available on the website. 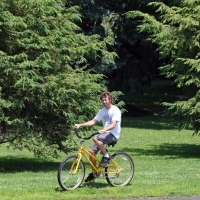 The park is open year round, so you can enjoy this wonderful NY biking trail during all seasons. Along the way you'll find such attractions as the Chittenango Landing Canal Boat Museum, the Erie Canal Village, and the Canastota Canal Town Museum. A Large Selection of Bikes and High-Tech Accessories! As the oldest and largest bike shop in New York, Toga Bike Shop celebrates over 30 years of serving cyclists all over the state. 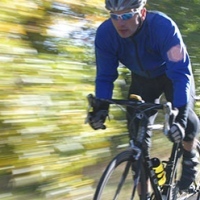 Choose from a wide selection of mountain, road, triathlon, and hybrid bikes. You'll also find a great assortment of the latest, high-tech accessories as well as the largest bicycle clothing department in NYC. Toga carries such reputable brands as Specialized, Cannondale, Giant, Bianchi, Guru, and Independent Fabrications. The staff is highly experienced, as all the employees are avid and active cyclists. Also available are bike fitting services and repair services from some of the best mechanics in the industry! A Cutting Edge Inventory of Bikes in New York! 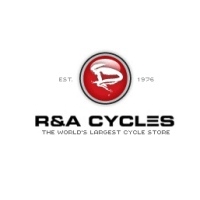 A distinctive leader in the cycling industry, R&A Cycles contains a cutting edge inventory that will appeal to cyclists of all levels and abilities, from beginners to professional athletes. The staff is equipped with over 30 years of cycling knowledge and will do everything possible to fill each customer's needs. Expect only the finest quality products at the most competitive prices! The inventory includes road, triathlon, mountain, cyclocross, and track bikes; as well as cycling equipment, clothing, and wheels. All products are available for immediate delivery right to your door--whether you live in New York, Europe, or Australia! 95% of the products you see on the website are in stock and ready to be shipped. Gift cards are available. Bikes, Accessories, and a Great Service Center! 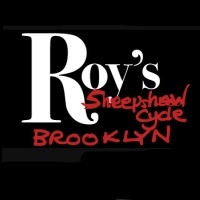 Established in 1931, Roy's is the oldest bike shop in Brooklyn, supporting a growing cycling community for over half a century! The shop caters to all types of customers, from novice cyclists to professionals. Kids and families are always welcome. Find the newest bikes from such brands as Specialized, Trek, Giant, Raleigh, and Brompton. Make your bike ride comfortable, efficient, safe, and enjoyable with a wide range of accessories. In addition to a full line of bikes and accessories, the store is home to a fully equipped bicycle service center. In most cases repairs can be done on the spot or within the same day, from a dedicated staff with a combined total of over 120 years of experience. Roy's is open 7 days a week, for your convenience. Tune-ups, Repairs, and many Great Product Lines! 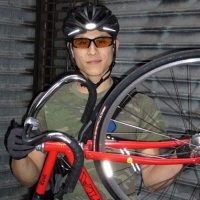 The Bicycle Station in New York is founded by Mike Rodriguez, who has over 30 years of experience with bicycles, having worked in a bike shop at the tender age of 10. Choose from product lines like Jamis, LandShark, Pake, Electra, Shimano, and Velocity. Services at the shop include standard tune-ups, bike repairs, fitting, custom wheel building, fixed gear conversions, and restorations. The store welcomes cyclists of all levels and serves as a convenient pit stop for bikers on the way to or from Manhattan or Prospect Park. Store hours are 12-7 P.M. on weekdays (excluding Wednesdays), 10 A.M. to 7 P.M. on Saturdays, and 11 A.M. to 4 P.M. on Sundays. New York's Go-to Bike Shop! 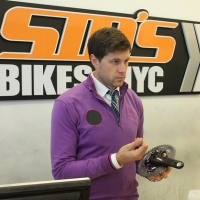 For over 20 years, The Kreb Cycle has been New York's go-to bike shop for professional repair service, cycling advice, and expert fitting services. In stock you'll find bikes and accessories from such brands as Specialized, Pinarello, Electra, Salsa, Easton, and Giordana. Also in stock are parts, wheels, tires, tubes, clothing, helmets, and shoes. 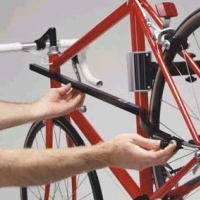 Basic tune-ups at the store include adjustment of front and rear brakes, adjustment of front and rear gears, adjustment of headset bearings, adjustment of bottom bracket bearings, truing of front and rear wheels, tire inflation, and other services. Follow The Kreb Cycle on Twitter to keep updated on upcoming bike rides, discounts, and other fun stuff! "One of the Top 6 Bike Stores in the Country!" Established in 1954, Brands Cycle & Fitness was regarded as one of the Top 6 Bike Stores in the country by Bicycling Magazine! Products in stock include bikes, books, videos, car racks, clothing, heart rate monitors, helmets, lighting, locks, lube/cleaners, pedals, shoes, wheels, and much more! The professionally trained service staff is certified to work on all makes and models of bicycles, in case you need a tune-up or major overhaul. Estimates are always free. Store hours are 9:30 A.M. to 6:45 P.M. on weekdays, 9:30 A.M. to 5:45 P.M. on Saturdays, and 11 A.M. to 4:45 P.M. on Sundays. If you order online, you get free shipping on all orders $50.00 or over. Find all your Favorite Cycling Brands! Bike Junkie in New York offers such brands as Bianchi, Cannondale, DK, Intense, Kona, Lynskey, Niner, Redline, Rocky Mountain, Santa Cruz, and Surley. Aside from bikes you'll find a generous inventory of parts, tires/tubes, accessories, and car racks. Check the website regularly to keep up to date on specials, new items, and bike rides on or around the Long Island area. Online ordering is available. Store hours are 12-8 P.M. on weekdays, and 12-6 P.M. on Saturdays. If you're taking public transit, Bike Junkie is walking distance from the Long Island Rail Bethpage Station. If you require any additional information, please send an e-mail to info@bikejunkie.com. A Bike Store and Cafe all in One! Conveniently located in the Historic Village of Farmingdale in NY, Adventure Cycles & Sports is your top destination for outdoor adventures. Since the company is owner-operated, the staff will deliver purely honest information and service. Buy new or pre-owned bikes for greatly affordable prices! You can also rent hybrid, mountain, or road bikes. In-store services include adjustments, tune-ups, and overhauls. All estimates are free! If you're seeking bike tours in New York, the store offers private and group tours to places like the Long Island Wine Country. If you'd like to grab some coffee or snacks, the Adventure Cycles cafe & lounge is now open--complete with couches and free wi-fi. 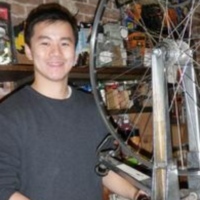 Great Bike Rentals in New York! Eagle's Neck Paddling Company offers all the rentals you need for kayaking, paddle boarding, and biking on Long Island. All bike rentals include free delivery and pickup, as well as a helmet and lock. Bikes can be dropped off at train or bus stations, as long as you give 4-hour's notice. Check out the website for hourly, daily, weekly, and monthly rental rates. 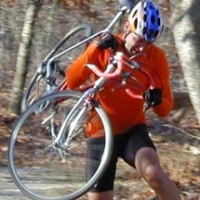 Eagle Neck also offers such services as bike repairs, tune-ups, and tube replacements. The store is located at the water's edge of Southold Bay within the Port of Egypt Marina, and is easily accessible from the Long Island Expressway. 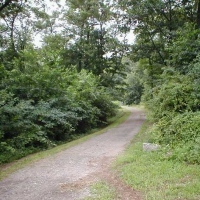 Rent a bike today and explore the natural beauty of the North Fork of Long Island! A Top Hangout Spot for Cyclists in NY! 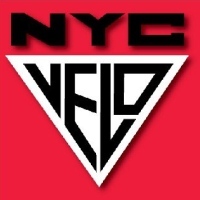 Select from a complete line of road, mountain, cyclocross, hybrid, single-speed, and fixed gear bikes at NYC Velo! The shop carries such brands as Independent Fabrication, Surly, Pegoretti, Scott, Felt, Kona, and Bianchi. At the Serotta Certified Fit Shop, you can get custom-fitted for the bike of your choice. In addition to bikes, the store carries a full line of bike components, accessories, and apparel. Located in the East Village of New York City, the shop contains an area dedicated to rider relaxation where cyclists can hang out, read a magazine, and sip free espresso. If you need bicycle repair services, the trained mechanics will be available to serve all your needs. The staff believes in delivering superior customer service, treating every customer as a valued member of the NYC Velo community. The Largest Bike Club in New York! Founded in 1936, the New York Cycle Club (NYCC) is the largest cycling club in NYC with over 2,000 members! 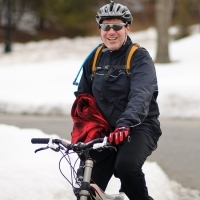 The all-volunteer recreational cycling organization offers rides for all levels, weekend trips, a spring training program, a full calendar of special events, and a friendly environment where you can meet fellow cyclists in New York. 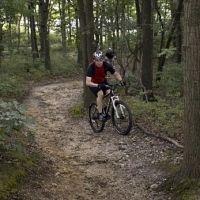 Whip yourself into shape as you explore some of the most beautiful bike routes in the Tri-State area! As a member, you're also given discounts at many local bike shops in NY and NJ. Log onto the website if you're interested in joining one of the coolest New York biking clubs! For any additional information, please send an e-mail to info@nycc.org. Just Like your Typical Hometown Bike Shop! New York's Waterfront Bicycle Shop allows you to rent and purchase bikes, as well as get bikes fixed without hassle, at affordable prices. Expect the same rates and cordial service you'd get at your typical hometown bike shop. Each bike rental includes a free biking map, lock, and optional basket. Check the website for hourly, daily, and weekly rental rates. Also available are tune-ups and overhauls. After you rent or buy one of the the store's high-quality bikes, go across the street and take advantage of the 32-mile bike path. Store hours are 10 A.M. to 7 P.M. everyday. 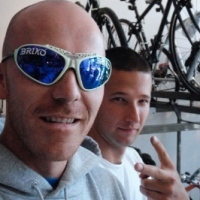 A Quality NY Bike Store with a Great Staff! 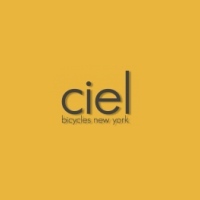 A clean, well-maintained bike shop in New York, Ciel Bicycles is the type of place where the staff makes you feel comfortable the minute you walk through the door! Choose from a selection of quality bikes for low, low prices. You can even customize your bike to fit your needs. The store caters to riders of all abilities. Expect nothing but the best customer service from the experienced, professional staff. If you have any questions, don't hesitate to ask! And unlike certain other bike stores in New York, the salespeople won't turn up their noses at you if you choose not to spend thousands of dollars. A Bike Store for all types of Riders! 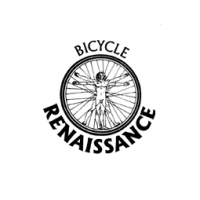 Located right across the street from the Museum of Natural History and the Hayden Planetarium is Bicycle Renaissance--one of NY's oldest and most trusted bike stores. No matter what your cycling needs are, you'll find the perfect bike and equipment to enhance your cycling experience. In stock are bikes and accessories for all age groups and rider levels. You'll even find an entire level dedicated to cycling clothing and shoes! 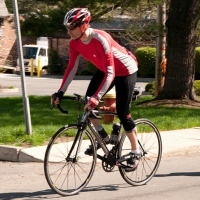 Being a long supporter of cycling in New York, Bicycle Renaissance is involved with such groups and events as the Multiple Sclerosis Tour, the AIDS Ride, and Bike New York. You'll often see the store's team training in New York's Central Park. Find Bikes you'll Love... or your Money Back! Dedicated to promoting the great sport of bicycling, Pedal Pusher is a full-service bike shop near Central Park in New York. Find brand-name bicycles like KHS and Bianchi, as well as many types of clothing and accessories. The service department repairs all types of bikes, always promising quick turn-around times. Rentals include mountain, race, and children's bikes. If there's an item you cannot find in store, log onto the website and browse through the Special Order Catalog. Pedal Pusher is so sure that you'll be satisfied with every product in stock that the store offers a risk-free promise: if (for any reason) you don' t love the item you bought, feel free to bring it back within 30 days. The staff will refit it, exchange it, exchange certain components, or simply give you your money back! An Excellent Selection of New Bikes and Accessories! Jeff's Bicycles NYC recognizes that you have tons of choices of where to shop for the right bikes and accessories. That's why the company works so hard to earn your repeat business, always striving for excellence. The topnotch customer service team will always be available to assist you in finding what you need. The staff of assembly and repair mechanics is authorized to work on most brands of bikes, even ones that aren't purchased in store. Find the best selection of new bikes and accessories in the area! The store carries such popular brands as Cannondale, Specialized, Giant, and Dahon. If you don't find what you need in stock, the staff will try to order it from one of the industry's major suppliers.